The SWAT Kats face off against a new criminal named Tony Manning when he tries to reunite all of the criminal enterprises in MegaKat City under his single command. Things get worse when Manning takes out the Metallikats and kidnaps Manx, Feral, and Briggs. The SWAT Kats may have to get help from their new allies in the Enforcers in order to save them. 1. Tony Manning was inspired by the Arrowverse villains Baron Reiter, Tobias Church, and Anatoli. Like Baron Reiter, Manning is a rouge military officer who still has connections to his corrupt Army buddies. Like Church, Manning uses knuckle-dusters and confidence instead of using magic, rituals, and science. Like Anatoli, Manning thinks that he is helping people. Manning has Dark Kat's calculating mind and is very street smart while serving as a dark mirror to Commander Feral. He's also very street smart unlike Dark Kat and has a goal of protecting people from super villains. 2. Like the script ''The Curse of Kataluna'', I borrowed some stuff from the SWAT Kats episodes "Metal Urgency", "The Metallikats", and "Mutation City". 4. I've read Kooshmeister's post on him trying to prove that the Enforcers are effective. I think they are since they helped the SWAT Kats deal with organized crime. I've made up several new Enforcers such as Jade, Albert, Draco Fontaine, Roger Manx (as you might guess, he is the son of Mayor Manx and Manx is unaware of his son being in the Enforcers. It's Feral who knows this ). The Enforcers are also effective in the show since they stopped the T-rex in the first episode, destroyed the hives that Dr. Street created in "The Ci-Kat-A" with flamethrowers, evacuated downtown in "Mutation City", and they are just like the police as well since they respond to crimes just like in real life. One evening, a gangster named Tony Manning stepped out of a black limousine with his associates Tom and Jack (the two grave robbers from ‘The Past Master Strikes Twice’) and his driver Reggie. Reggie was putting on a pair of brass knuckles until Manning stopped him by saying that it wasn’t necessary. He also instructed Tom to fire a buzooka at a garage door and instructed everyone to keep quiet while he was talking. Manning and his thugs went into the garage where Mac and Molly Mange, two robotic criminals known as The Metallikats, were watching the news on T.V. Mac and Molly fell off the couch at the blast and they both turned to see Manning coming toward them. Manning greeted them and said no long time no see. Mac didn’t recognize Manning until Molly reminded him of who he was after hitting him in the head in annoyance. Molly reminded Mac that Manning once served as a hit man for their mob before they were turned into robots. Mac then remembered who Manning was and demanded to know why they didn’t kill him. Molly then said it was because they couldn’t find him. Manning then explained that he was caught and forced to enlist in the Army by the governor of the state that MegaKat City was in as a way to shave time off his sentence. It was because Manning couldn’t many work as a security guard or a night watchman since he was too bloodthirsty to since that was why Katscratch had him kicked out after taking over. Mac then laughed sinisterly and said it was foolish for Manning to show up and was about to kill him until Manning pulled out a neuro neutralizer from his coat that Commander Feral once used on them. Manning then used it to subdue the Metallikats in a split second. Manning then ordered Tom and Jack to cut off the Metallikats’ heads and put inside a box in the trunk of his limo. Jack refused since he was freaked out by it but Tom stepped on Jack’s toe and forced him to. In Mayor Manx’s penthouse apartment, Manx was busy washing his paws until the doorbell rang. Manx opened it and met George the deliver kat who had a package for him. Manx accepted the package and naively thought that it was sent to him by his son Roger, who was studying physics in the university. Manx opened the package, took a look at it, and the freaked out when he saw the Metallikats’ heads in it. Manx immediately picked up the phone and called Feral for help. Feral showed up later and began taking notes of everything that had happened from Manx. Feral ordered the Sergeant to go look for George at the MegaKat City Post Office and wanted to have Roger brought in for questioning which annoyed Manx. Callie the showed up and wanted to check if Manx was okay since Felina told Callie what had happened during their kickboxing class. Reggie watched them for the balcony of another building through binoculars and told Manning that all his targets were under the same roof. Manning said it was excellent and then ordered Tom and Jack to launch knockout gas through the ventilation shafts, causing everyone in the building to pass out. Manning then ordered the rest of his thugs to grab Feral, Manx, and Callie. Feral, Manx, and Callie woke up tied to some chairs in an abandoned warehouse. Manning stood there calmly with a pair of brass knuckles in his hands. Feral knew who Manning was since he was the one who arrested him before and demanded to know why he was doing this. Manning explained that ever since the Metallikats killed Katscratch, the other mobsters decided to make Fango run his operations. 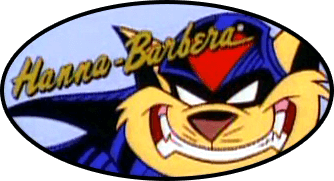 Manning reasoned that if he eliminates the SWAT Kats, then he could be able to scare the other mobsters into letting him run Katscratch’s organization. Callie began speaking rudely to Manning by saying he would never get away with it, so Manning ordered her to be taken to another room so he can teach her some manners later and Feral was shocked to learn that some of the Enforcer members were working with the gangster when they are dragging Callie away. At the garage, Chance and Jake were watching the David Litterbin Show. Chance didn’t like David Litterbin since he’d rather be drinking milk and watching Scaredy Kat, but it was Jake said it was his t.v time and that David Litterbin cracks him up. Suddenly, Manning interrupted the broadcast by revealing that he captured Feral, Manx, and Callie. Manning announced that the SWAT Kats had forty-eight hours to rescue them or they will be dead. Chance and Jake immediately suited up into T-Bone and Razor. They both went into the TurboKat and headed off to Callie’s location since Razor was tracking Callie on the communicator that they gave her a while ago. T-Bone and Razor sneak into the warehouse and sneak into the room where a corrupt Enforcer is beating Callie with a baseball bat. The Swat Kats ultimately free Callie by taking out the corrupt Enforcer. T-Bone, Razor, and Callie then go to rescue the other hostages, however they have no choice but to abandon them due to explosives that Manning has set in the warehouse. At Enforcer Headquarters, Steel is appointed to be the new commander while Feral is kidnapped and Felina was demanding to know what Steel planned to do about it while Steel was enjoying his newfound position. T-Bone, Razor, and Callie arrived to explain the situation to them and that they needed help from the Enforcers. Felina agreed to it and at the same time she was surprised that the SWAT Kats would want help from the Enforcers. Steel refused to allow any of the Enforcers to associate with a pair of vigilantes, but everyone left his office and Callie asked Steele if he had any better ideas in annoyance. Felina introduced the SWAT Kats to the members of the Enforcers whom she was sending: Albert (former member of the marines), Jade (former female martial arts instructor), Arnold Thompson (former security guard at a nuclear plant), and Roger (son of Mayor Manx). Felina introduced them to Draco Fontaine, a computer scientist who worked for the Enforcers. Unlike Feral, Albert, Draco, Roger, and Jade all admired the SWAT Kats just as Felina admires them as well. Draco jokingly called their team ‘The Radical Squadron’ which T-Bone liked since there was nice ring to it. Jade launched a Chinese tranquilizing dart at all of Manning’s thugs and then the Enforcers crew broke into Manning’s warehouse to rescue the hostages. Roger was careful to hide himself since his father would be angry if he knew what Roger was doing behind his back. Draco and Felina were back at Enforcer HQ monitoring the situation from the traffic cams that Draco logged into. Manning escaped when the Radical Squadron began to have a shootout with his men and fled in a helicopter. Feral ordered Razor to fire his bazooka at Manning’s company, but Razor couldn’t allow himself to take a life which earned Feral’s ire. Felina tried to calm her uncle down, but T-Bone got angry and announced that the SWAT Kats don’t kill and that they use non lethal bullets. Feral continued insulting them until T-Bone called him a serial killer since he was aware that Feral had the most officer related shootings back when he was a young Enforcer. Feral protested that he killed when he had to and he was obeying the law which made T-Bone get angered that Feral found it okay to take a life just as long as he following the rules. T-Bone and Razor then left while all of Manning’s surviving henchmen were arrested. Manx called out to the SWAT Kats that he was going to throw a parade in their honor before they left. Callie asked if that was what Manx was really going to do, but Manx refused since it would look bad if he threw a parade for a bunch of vigilantes which made Callie upset. When T-Bone and Razor got back to the Hanger and were switching back to their civilian lives, Razor asked T-Bone if he did the right thing by letting Manning escape since he was well aware that Manning would do more harm than good. T-Bone told his partner that he did the right thing and that killing bad guys wouldn’t be fair since there is good in them which was why he disliked Feral more than anything. T-Bone then decided to cheer his friend by watching the David Litterbin Show with him while drinking milk even though it was T-Bone’s television time. Meanwhile at the docks, Manning was having a meeting with Fango and the rest of Katscratch’s former crew. Manning tried to impress them by revealing that he took out the Metallikats when Katscratch wasn’t able to handle them. Fango wasn’t that easily impressed since Manning tried to kill the SWAT Kats and the SWAT Kats had never done anything to anger the mob so everyone got concerned thinking that Manning would make them more enemies than allies in the organization. Manning snapped his fingers and then the rest of his former Army buddies rushed in and surrounded the rest of Katscratch’s crew. Manning demanded that they swear their loyalty to him and the rest of the crew agreed since they were desperate to live. Manning announced that they will unite the organized crime cartels and streets gangs in MegaKat City under his leadership. Manning even declared this to be an alliance of evil and started laughing sinisterly saying that it was all for one and one for all. At a press conference in City Hall, Manx and Callie were honoring Albert, Felina, Draco, and Jade for a job well done. Manx asked Feral where the other Enforcer was while being that it was his son who saved him. Feral lied that his fellow Enforcer couldn’t make it and offered to give the medal that Manx was going to give away to him, which Manx accepted. Feral lied because Roger was a good Enforcer and he would hate to see Roger get dismissed because of his father, Feral considered to be a fool. Also, Feral knew that Manx would have him discharged from the force if Manx knew that his own son was involved so Feral had to keep it under wraps. Manx announced that the Enforcer crew saved him, Callie, and Feral. Before Callie could announce the SWAT Kats’ involvement, Feral did it for her by noting that they only provided minor assistance. Chance and Jake were watching this back in the Hanger and looked at each other in surprise. Usually Feral would just insult them in front of the media since he was jealous of them. I might make a script or type up a chapter book about it. But lemme know what everyone thinks of it. Please I'm open for comments from other people. Not bad at all! Looking forward to reading more of your story.